When warm weather sets in, you’re gonna need shorts. Is your closet coming up short on options? 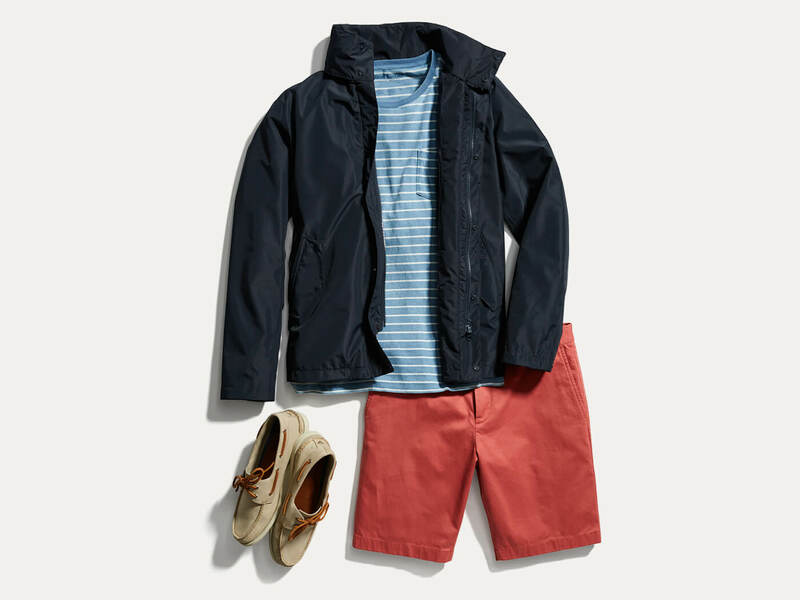 Check out our three favorite styles to cool down your wardrobe. Keep reading to see our top shorts styles to wear this season. Olive shorts look best with any neutral color—think black, navy, beige and gray—paired with a light patterned top, recommends Stylist Brittany M.
Elevated. Versatile. Fun. Yep, olive has stepped up as a color essential. 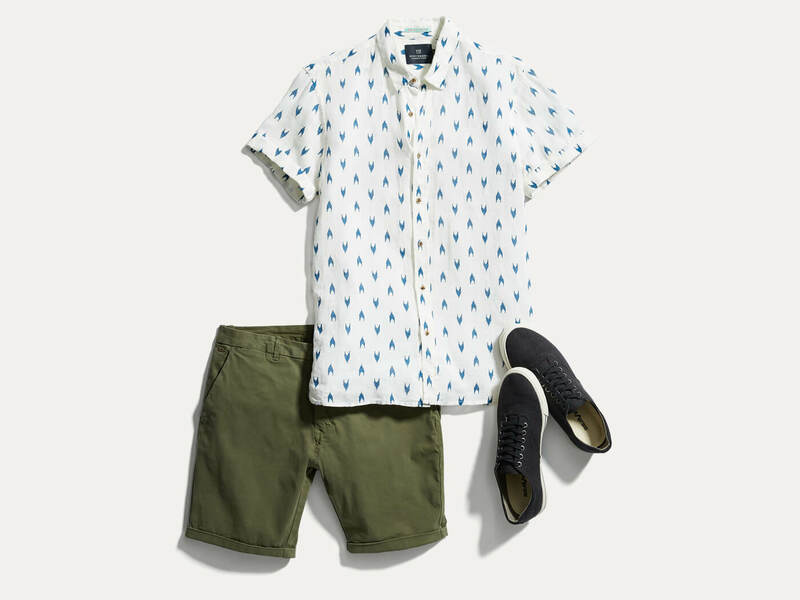 If you’re new to wearing shorts with some pop, we suggest easing into it with this shade of green. It stands out, but it’s not in-your-face bold. It’s super cool and casual, but has the power to quickly turn an outfit spiffy. The classic. Tan shorts are a blank canvas that can be worn with virtually any color. We love tan shorts, and truly believe every guy needs a couple pair. It’s the ultimate staple, allowing you to mix and match for a wide array of looks. 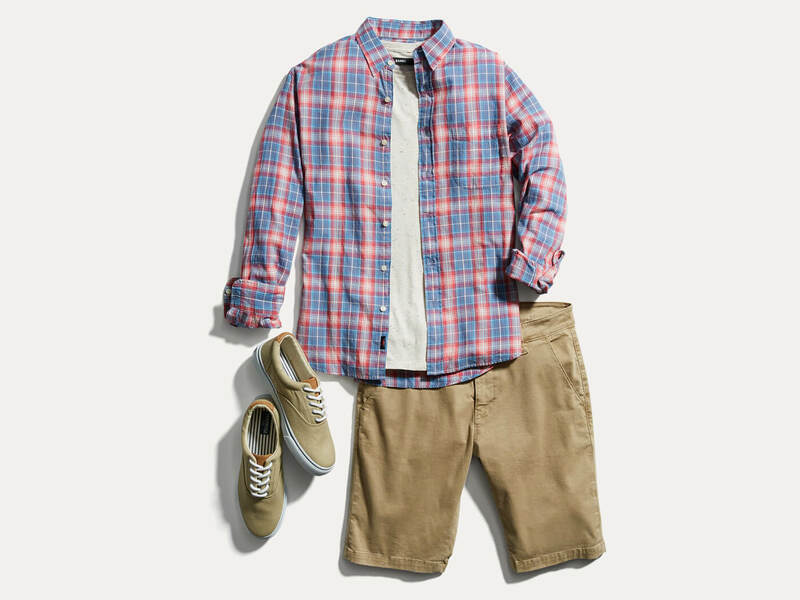 Bright plaid button-down? Light sweater? Canvas sneaks? Whatever you choose to pair your shorts with―you’re golden. Nail red chino shorts by keeping the rest of your outfit toned down. We recommend pairing yours with neutrals, stripes or clean patterns. Want to be the most interesting guy in the room? Color always makes an impression and is the quickest way to update your wardrobe. 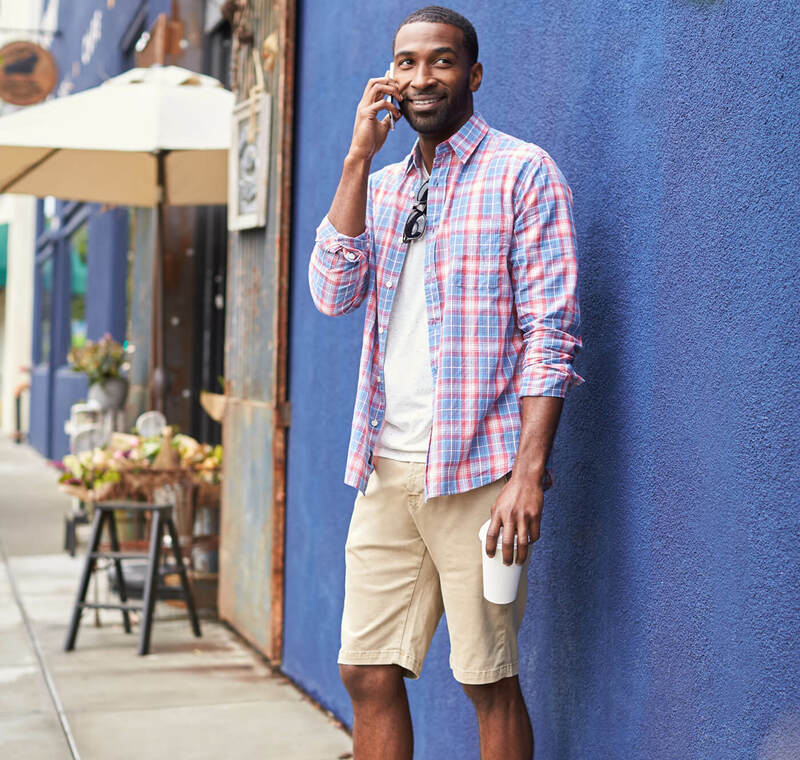 Red shorts offer a full range of options to stay fresh for the hot months―just make sure to balance out your outfit by adding contrast. Get shorts from your Stylist.